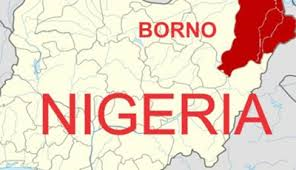 Once a sleepy, idyllic area, Gomari in Borno State suddenly found itself an unwilling host to torrents of bomb attacks by Boko Haram. 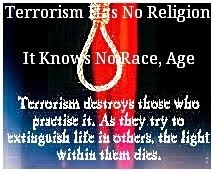 However, Daily Trust found out, that the terrorists’ deadly attention was attracted by a most unusual item. A fresh attack by the Islamic sect- Boko Haram, at Bara town of Gulani local government area of Yobe state has reportedly left many residents dead. Unknown gunmen on Thursday in Bayelsa, kidnapped 100 year-old, Madam Ebifieghe Dikoro, mother of Elder Wilberforce Agiri, the running mate to the APC governorship candidate, Chief Timipre Sylva. 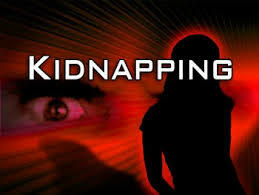 Five children have been reportedly kidnapped in Gwalbanya village of Toro Local Government Area of Bauchi State. The Nigerian Army said on Wedneday that troops at fringes of Sambisa forest have rescued about 338 people held by Boko Haram as well as killed over 30 Boko Haram terrorists. Security operatives yesterday arrested four insurgents who attempted to enter the Pompomari Internally Displaced Persons (IDPs) camp in Damaturu, the Yobe State capital. 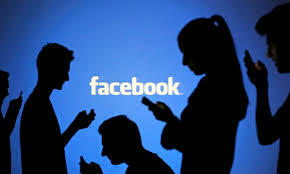 Two of the suspects initially disguised as visitors to see relations at the camp but were apprehended. 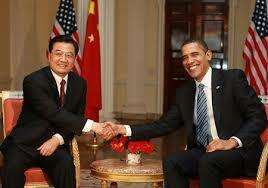 The two others, who came separately later, were also arrested while trying to enter the camp. Three suicide bombers attacked a military check along Damboa road in Maiduguri, the Borno State capital on Saturday, killing four persons. DAILY POST gathered that the attack, which occurred about 8 a.m, close to the Federal Road Safety Commission, FRSC, office also left six persons injured. 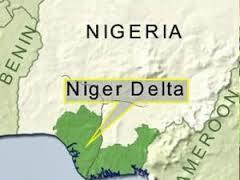 The blasts was reportedly targeted at security operatives. It was still not clear if any of the security operatives at the checkpoint was affected by the bomb blasts. Speaking with some residents, they disclosed to DAILY POST that the victims had been evacuated by soldiers to the hospital. 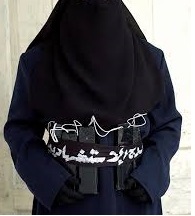 According to them, two of the female suicide bombers were also killed, while the other one was still alive. Many worshippers are feared dead in Yola, the Adamawa State capital, after a bomb attack on a Jumaat mosque in Jimeta area of the city. This treatise is a blow-by-blow account of prevailing kidnapping in Nigeria. It touches on human trafficking and explores Nigeria’s ranking in the global kidnapping index, how kidnapping metamorphosed in Nigeria, the epicenter(s) and litany of kidnapping incidents in Nigeria, payment of ransoms to secure release of kidnapped victims, capital punishment for kidnappers, pull-factors encouraging kidnapping in Nigeria, kidnapping dynamics in Nigeria and recommendations on how to tackle or rein in the menace of pervasive kidnapping in Nigeria. Here are some latest professional security vacancies you may be interested in. Goodluck! Twenty persons were shot dead by suspected Boko Haram gunmen on Wednesday on a road outside a village in Borno State, local sources said. 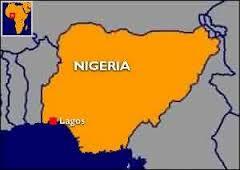 Gunmen have kidnapped two Lithuanian and two Ukrainian sailors off southern Nigeria, in the latest incident in a region described as a piracy hotspot, Lithuania's government said Tuesday. Likely in response to the attack in a Charleston church where nine were murdered earlier this year, the Obama administration has announced a new office at the Department of Justice aimed at tracking and coordinating investigations into domestic terrorism. 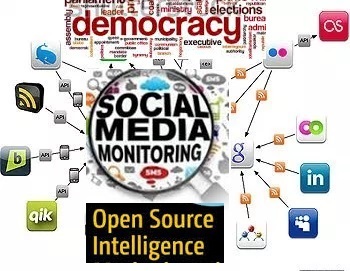 Seven US companies have been attacked by government-associated Chinese hackers in the three weeks since the US and China announced a pact that banned government spying on companies, a US security firm said Monday. A former Chairman of the Nigerian Medical Association (NMA), in Edo State, Dr Philip Ugbodaga and two other medical doctors whose identities are yet to be known have been reportedly kidnapped by gunmen. Nigerian soldiers shot dead a suspected suicide bomber outside a military base in the northeast on Sunday, detonating explosives concealed in her handbag, a civilian vigilante and a military source said. One Mr. Isa Abdulganiyu, a lecturer in the faculty of Law, Kogi State University has been reportedly kidnapped on his way to his Okene hometown. 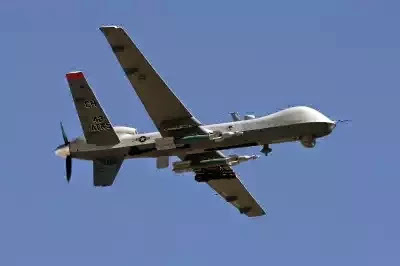 The US government has been running a “shadow war” from outposts in Africa using drones and manned aircrafts to strike targets in the region. 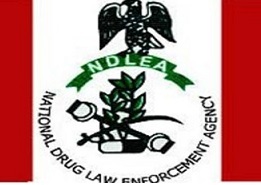 The National Drug Law En­forcement Agency (NDLEA) yesterday said it arrested a 34-year-old man, Udeh Onuora Pas­cal suspected to be working for an international criminal organization for being in pos­session of 108 Automated Teller Machine (ATM) debit cards. The arrest took place at the Murtala Muhammed International Airport (MMIA) Lagos while the suspect was attempting to board a Qatar Airline flight to China. The debit cards belong to five commercial banks. The case of a hacker who allegedly provided ISIS with a "kill list" Americans — ranging from diplomats to lowly bureaucrats, according to an NBC News review — shows that online intrusions can put a lot more than your credit rating at risk. 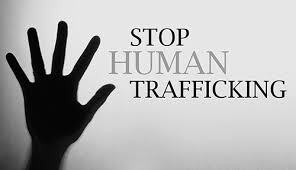 THE National Agency for Prohibition of Trafficking in Persons (NAPTIP) and the United Nations Office on Drug and Crime (UNODC) have revealed that human trafficking cartels across the globe make a whooping 40 billion dollars annually from this illicit business. 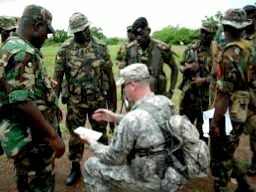 WASHINGTON, United States - The United States will conduct surveillance and intelligence operations against Boko Haram inside Nigeria, sources familiar with the plan told AFP Friday, a significant escalation of Washington's role in combatting the Islamist group. THIS week, Boko Haram continued its campaign against security forces in the North East. Chad experienced two attacks, the first being an incident in which three IEDs were detonated. One was at a fish market and the other two at a refugee camp resulting in the death of no fewer than 37 persons. One of the hundreds of Chibok schoolgirls kidnapped 18 months ago by Boko Haram militants reportedly escaped from the terrorist group's stronghold and told of her fellow captives' ongoing misery, but a military official disputed the claim. 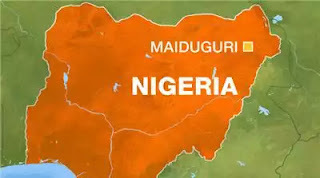 Officials of the Civilian Joint Task Force, who participated in the evacuation of victims from the scene of Thursday night’s bombings in Maiduguri said at least 26 bodies were evacuated from the scene of the blast. Twenty-five others were rushed to hospital with various degrees of injuries, the officials said. 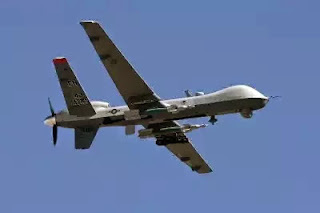 United States President Barack Obama has announced that US armed forces have been deployed to Cameroon to help fight against the Islamist militants Boko Haram. 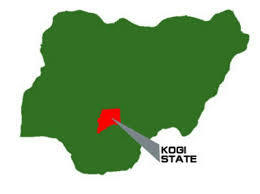 No fewer than 10 members of an Islamic sect and one soldier were killed in Okene, Kogi State, on Tuesday, when men of the Nigerian Army invaded the base of the fundamentalist in the town. The National Emergency Management Agency (NEMA) has said that the total funding commitment of the Federal Government and the private sector in support of the rehabilitation victims of insurgency at N56 billion. Maiduguri (Nigeria) - Three suicide bombers thought to be Boko Haram militants yesterday (Tuesday), at about 1910 GMT, detonated explosive devices in Maiduguri, the Borno State Capital killing about seven people, including the three terrorists while eleven people sustained varying degrees of injury, according to a military spokesman, Colonel Sani Kukasheka Usman. Two suspects were paraded on Monday, as the abductors of Chief Olu Falae, by the Department of State Service. The former Secretary to Government of the Federation, was abducted on his farm at Ilado village, Akure, Ondo state on September 21, by Fulani herdsmen and was released four days later after ransom payment had been made. Abdullahi Garba, who presented the suspects to the public on behalf of the DSS, revealed that they were arrested on October 5 at J. Zebra hotel in Lokoja. 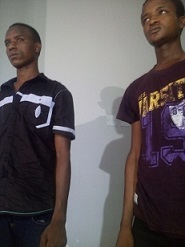 The two suspects; Babawuro Katoand Abdullahi Usman, were paraded by DSS operatives at their headquarters in Abuja. One of the suspects, Usman, also known as Kadiri, would reveal that he helped to identify a ‘big man who goes to his farm in Toyota Hilux van’ for kidnapping. Usman confessed that Olu Falae was abducted in order to get money for Sallah celebrations. He revealed that he was approached by some of his friends during a wedding ceremony in Kwara State shortly before the last Eid El-Kabir. Usman stated that a certain Datijo lamented to him that he was cash-strapped, and as such, would not be able to celebrate the Sallah festival unless he got information on any big man that could be abducted for ransom. “I then told him that I know one man who used to bring a Hilux vehicle to his farm and I used to see him as I move my cows about”, he said. 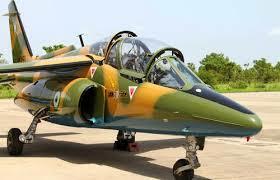 An aircraft belonging to the Nigerian Air Force has crashed in Yola, the capital of Adamawa state, in North-East Nigeria. All those on the plane died in the accident, authorities said. 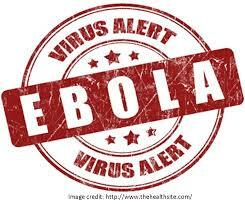 The University of Calabar Teaching Hospital, UCTH, has quarantined ten persons following the death of a patient in the hospital on Wednesday with symptoms suspected to be Ebola virus. As the Nigerian Government grapples with a horrific Islamist insurgency in the North East, an International conflict prevention group has warned that if the Muhammadu Buhari administration fails to urgently address the “long-simmering grievances” and deprivation in the oil rich Niger Delta, the region could soon erupt in violence again. 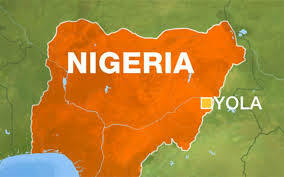 Scores of people were killed in explosions on Tuesday night at two mosques in Gubio town, in the northern part of Borno State, a member of youth vigilance group told our correspondent on the telephone on Wednesday. The future of a UK-backed programme to de-radicalise Boko Haram Islamists in Nigeria is in doubt after the British-trained expert who set it up was abruptly sacked by the country's new government. 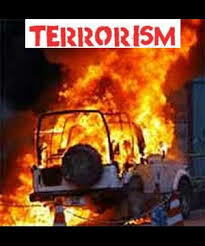 Reports say that there has been a bomb blast at Buhari Housing Estate, Damaturu, Yobe State. 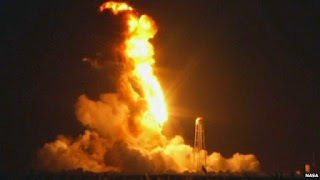 Channels News reports that about 16 people have been confirmed dead. 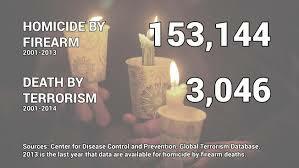 The terrorist attack of September 11 2001 destroyed lives and changed lives. It is impossible to be [at Ground Zero, New York] without feeling an immense emotional connection to the victims, their families and to this city and this country. 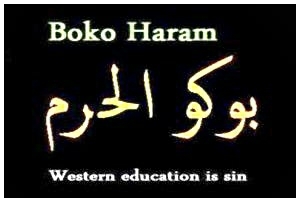 No fewer than 600 teachers have been killed and 19,000 others displaced since terror sect, Boko Haram, began its violence campaign in the North-East, the Nigeria Union of Teachers said on Monday. 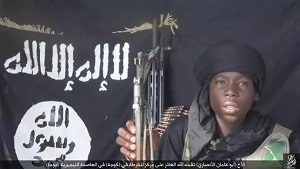 Boko Haram has claimed responsibility for twin bomb attacks on the outskirts of Nigeria’s capital, Abuja, the group said in a message posted on social media on Sunday evening. Maiduguri (Nigeria) (AFP) - Multiple explosions were heard Sunday on the outskirts of Maiduguri, a city in northeastern Nigeria that has repeatedly been attacked by Boko Haram jihadists, local residents said. But the army said the blasts, which caused some panicked residents to flee, were a result of the test-firing of weapons during military exercises in the area. Ex-militant leaders from the six states of the Niger Delta region, yesterday, expressed concern over the December 2015 termination deadline set by the Federal Government for the Amnesty Programme, saying that the date is not feasible and should be extended. 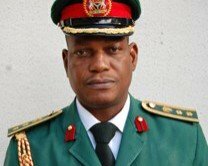 In a renewed effort to end Boko Haram insurgency, the Theatre Commander of Operation Lafiya Dole, Maj-Gen. Yusha’u Abubakar, has informed that, with the recoveries of some property at Thursday’s Maiduguri multiple blasts, the military has to degrade and completely eradicate Boko Haram insurgents by destroying their bomb factory houses and other property employed in “terrorists activities and insurgency” in the North East. Boko Haram militants struck Friday night in Kuje and Nyanya parts of the Federal Capital Territory leaving many dead and some people injured.